L’ESME Sudria Paris accueille cette année la 3ème édition de la conférence internationale IEEE Bio-Engineering for Smart Technologies (BioSMART), organisée par l’Université de Paris EST Créteil (UPEC) et l’ESME Sudria : BioSMART’19. Call For Papers pour la soumissions d’abstracts/articles scientifiques jusqu’qu 25 février 2019 au plus tard. Une session Exhibition and Demonstration dédiée aux entreprises et aux startups est prévue le 25 avril après-midi. Scope: Three main objectives describe BioSMART. The first one consists obviously in communicating and promoting advanced researches in Bio-engineering applications such as Biomedical engineering, Biometrics, Bionics, etc. The second objective consists in promoting multidisciplinary techniques, methodologies and approaches as well as collaborative projects involving more than one Bio-engineering topic. Finally, the third main objective is to highlight the applications aiming to connect Bio-engineering to Smart technologies (e.g. Smart clothes, wearable technologies, connected health, etc), from signal and image methodologies to smart consumer electronics. 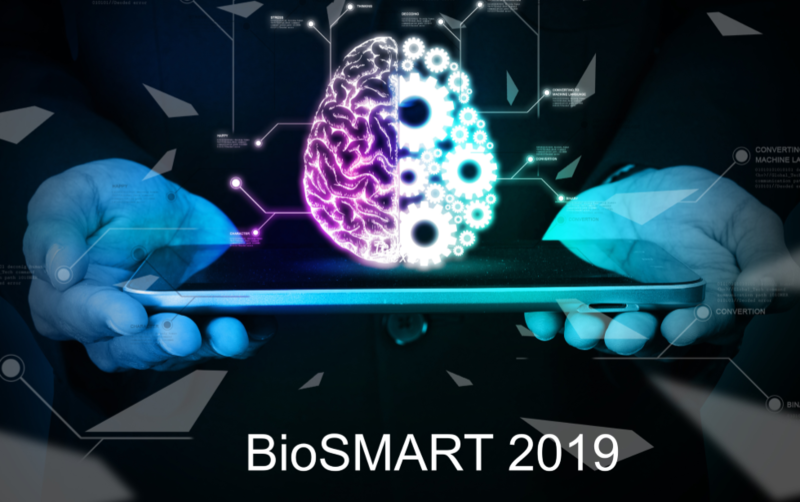 BioSMART will be the right place where researchers from different Bio-engineering fields can meet and exchange ideas to build outstanding and innovative future projects. *Accepted papers will be published in IEEE explore. Topics: Bio-signal processing, Biomedical image processing, Biometrics, Bio-measurement and Instrumentation, Bionics, Bio-inspired systems, Bioinformatics, Bio-devices and Biosensors, Computer vision and computer graphics for Bio-engineering, Bio-inspired systems, Artificial Intelligence, Affective Computing, Internet of Things (IOT) for Bio-engineering, E-health, connected, health, telemedicine/smart medical devices, Smart clothes and wearable technologies, Smart systems and Mobile Smart, applications for bio-engineering, etc. Submission deadline: Feb, 25th, 2019. Notification of acceptance: March, 4th, 2019. Final paper version submission (IEEE Compliant): March 11th, 2019. Usoltsev, nam.R, « Deep learning for Bio-engineering ». Ardabilian, INSA-Lyon, « Advanced Imaging: 3D and Multi/Hyperspectral Acquisition, Analysis and Recognition ». Demonstration stands are setup by start-ups, corporates and research institutions.